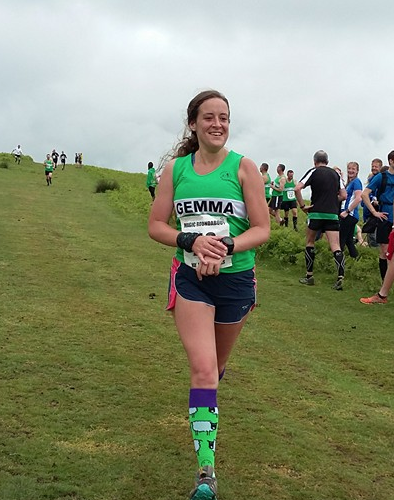 Forest of Dean Athlete Gemma Hewitt continued her series of long distance challenges by completing the Green Man ultra marathon this Saturday the 4th of March. 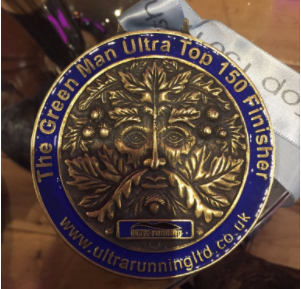 The race involves a 45 mile circumnavigation of Bristol and and follows a tough cross country route which includes 924 Meters (3031 ft) of climbing. Gemma was one of 232 starters and finished in 149th place in just under 11 hours. The race takes a great deal of dedicated training to even have a chance of completing the course with this years race seeing 31 competitors drop out on route. 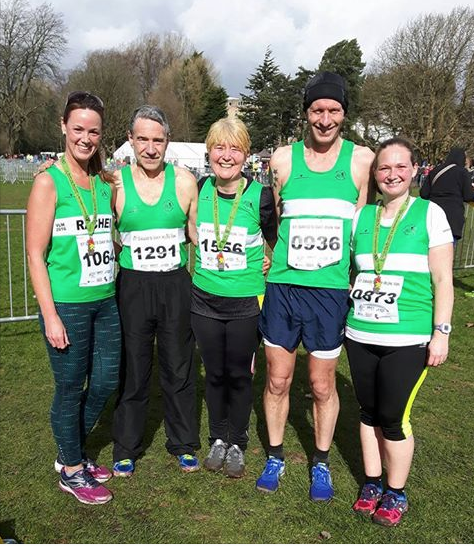 Fifteen Forest of Dean AC runners joined a total of more than 1700 others for the annual St. David’s day 10k race, which, with along with a 1k and 5k race, saw more than 3000 people take to the footpaths of Cardiff’s Bute Park this Sunday. Three FODAC runners had particular success with Dave Lothian taking 1st place out of 103 in the M50+ class with a finish time of 39:49, while Rachael Nash just missed out on the medals with 4th place out of 157 in the F40+ class with 49:17 and Alan Robertson took 7th place in the M50+ class in 46:06, an achievement more note worthy given that he normally runs in the M60+ class and had had a tough 10k race the previous day representing the club in cross country.